As the Los Angeles City Council convenes for its last work week of 2018, rumors are rampant that embattled CD-14 City Councilman Jose Huizar will tender his resignation by Friday, ending his reign of servicing those who pledge (and pay for) loyalty, to his self-enriching brand of representation. Is the end near for CD-14 City Councilman Jose Huizar's (and cronies) reign of servicing (based upon loyalty)? ** Blogger's Notes: Is the end near? With the Los Angeles City Council beginning its last week of 2018 meetings tomorrow (Tuesday), speculation is growing that the embattled Princeton Graduate, turned troubled Politico, will announce his Resignation at the end of business on Friday. A review of Official CD-14 Social Media Mediums, denotes a Missing-In-Action (MIA) Officeholder (along with a certain Communications Director, last seen Tweeting "Coca Puffs" on November 6, with none since). This past weekend, Councilman Huizar was a no show at community events in Hermon, El Sereno and Highland Park, fueling the speculation of his pending demise. 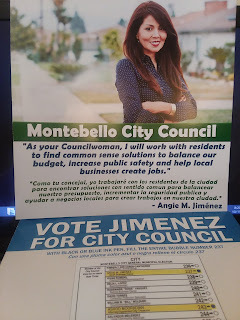 With no apologies to the Machismo Father and Son Duo of CD 1 Councilman Gil and Lil Gil Cedillo Jr., a former Daughter-In-Law/Wife respectively .........., has a new gig. 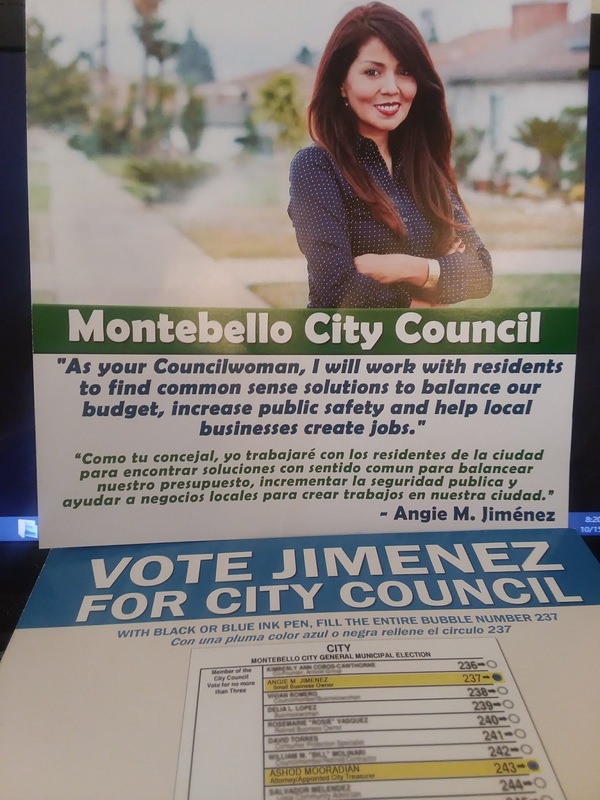 After weeks of counting/harvesting of post-Election Day Ballots, the City of Los Angeles Mayor's Office Employee will be certified as the third place finisher for the three available seats on the Montebello City Council. Jimenez unseated Incumbent Art "Perrin" Barajas by THREE votes. The Fondling Father of the Calizuela Pervycrat Caucus Eric Bauman. 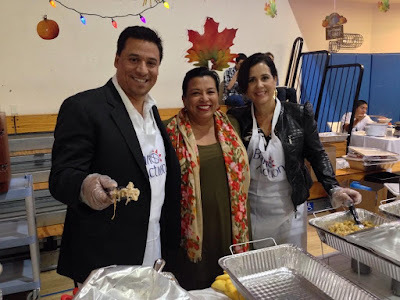 Despite the best efforts from the likes of the Sacramento Dee, the El Segundo Old Gray Collective Hag (no longer on Spring Street) and other assorted Fishwraps of Leftist Propaganda to ignore, the One Party State of Calizuela, has a robust (and growing) new Identity Faction known as ............, the "Pervycrat Caucus". 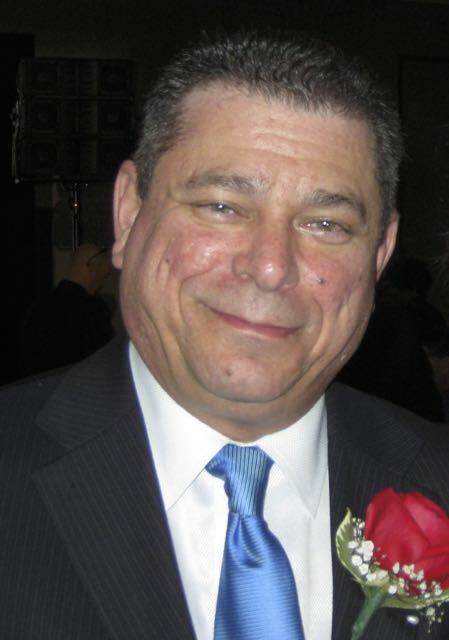 In recent weeks, the ranks of accosting Prevycrats has grown with the ascension of former Calizuela Democrat Party Chairperson Eric Bauman ........., as the Fondling Father of its newest Identity Caucus-----Scott Johnson. As more allegations of ethical and personal malfeasance involving embattled CD-14 City Councilman Jose Huizar become public, the Los Angeles Neighbor Council Coalition (LANCC) became the first City-wide Entity, to request the Princeton Graduate Officeholder's Resignation ........, while mounting legal bills prompted the sale of the Huizar's El Sereno Rental Home. CD-14 City Councilman Jose Huizar in his disdainful persona. ** Blogger's Notes: Where do we start? In the aftermath of two Ex Staffer Lawsuits, FBI Raids and and the cessation of the #Richellary2020 Campaign, many discerning political observers remain on "Huizar Watch". 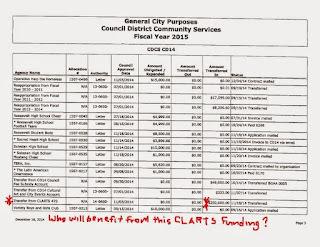 Just in the last week alone, we learned that many Downtown LA Money Interests "were implored by Councilman Huizar (and Staff)" to donate money to his Alma Mater, Salesian High School, during the time his wife was employed as the Private School's Fundraiser, which contributed to a Motion approved by the Los Angeles Neighborhood Council Coalition (LANCC) ........., that called on him to resign. One day into the First Week of December, the fallout of Team Huizar's alleged ethical, legal and personal transgressions continues, with the cancellation of the 2019 Edition of "Bringing Back Broadway Event" ........., and what will happen next? 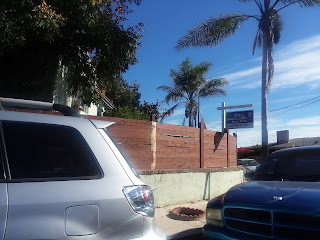 First, the Mayor Sam Blog has learned that Jose and Richelle Rae Huizar's notorious El Sereno Rental Home, was placed on the Market last week, with an asking price of $665,000. which is nearly 400% more than the 1999 purchasing price of $157,000. We should note that the couple nearly lost their home due to non-payment of Property Taxes in 2015. Why the haste of Richelle Rios Huizar LLC, to sell its El Sereno Rental Property? 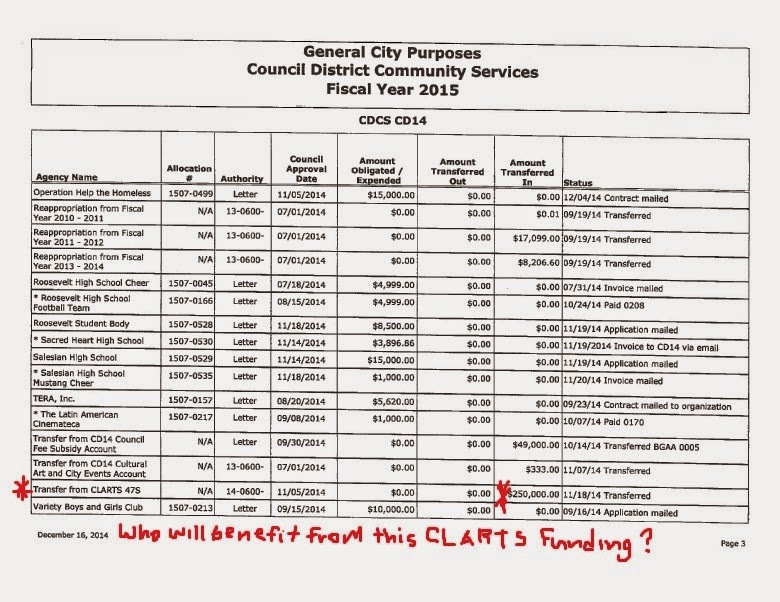 Second, in response to the LA Times Missive regarding the use of CD-14 Staff to help with Richelle Huizar's Fundraising Vocation at Salesian High School, we post here a link to our 2015 Exclusive on Councilman Huizar's allocation of discretionary funding to various community organizations ........, including a proposed $15,000 to his Alta Mater. Sources then (and again in recent weeks), opined that the rush of allocations in late 2014, may had been part of a scheme to use public funding for campaign purposes. What was the intent of the proposed $15,000 allocation of Discretionary Funds to Salesian High School in late 2014? Third, as another now Ex Councilman Huizar Staffer (George Esparza), goes public regarding alleged unethical Workplace Behavior, discerning observers are renewing interest regarding the departure of former CD-14 Downtown Field Deputy Lilie Gross. The Mayor Sam Blog had mentioned the name of Gross, along with Pauline Medina, in a previous post that broached speculation regarding Workplace Misconduct. 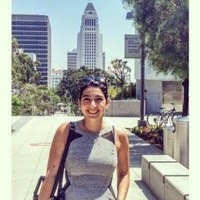 Multiple sources tell Mayor Sam that Lilie Gross is the God Daughter of Political Consultant Parke Skelton, who had consulted Councilman Huizar's previous campaigns ......, but was not selected (or chose not) to run the still-born Richelle Huizar Campaign-----Scott Johnson. Will Lilie Gross became the next Ex Staffer to disclose the reasons for her CD-14 Departure? ?